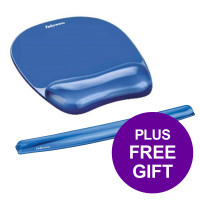 Buy Fellowes blue gel mouse mat and get the keyboard wrist rest in blue free. 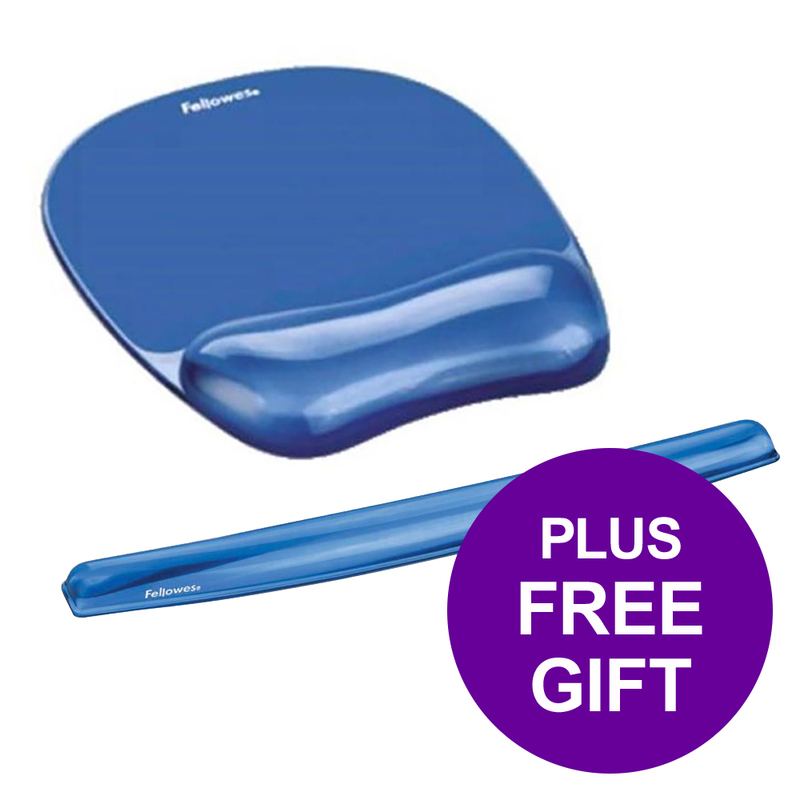 Fellowes Crystal Mouse Pad is a stylish, transparent gel mouse pad which adds colour to your workspace. The wrist support conforms to your wrist and redistributes pressure points whilst the soothing gel provides added comfort and support. It is stain resistant - simply wipe clean with a damp cloth.